Ford Fiesta à partir de 11/2001 à 09/2008. Ford Mondeo à partir de 10/2000 à 09/2004. Ford Focus à partir de 08/1998 à 05/2005. Ford Focus II à partir de 06/2003 à 11/2004. Ford C-Max à partir de 06/2003 à 11/2004. Does not fit 2014 onwards facelifted models with the ROUND mirror fixing point! From 2006 to 2014. One Genuine Rear View Mirror. Fiat Ducatos. As Fitted to Fiat Dobloas from 2009 onwards. One Genuine Rear View Mirror. FITS VW T5 TRANSPORTER. GENUINE VW VOLKSWAGEN REAR VIEW MIRROR. TO FIT SIMPLY TWIST ON TO PLASTIC STUD THATS MOULDED INTO THE GLASS. REAR VIEW MIRROR ADHESIVE 9934. BRACKET TO WINDSCREEN. Our primary aim is to provide a wide range of car parts and accessories at competitive prices, coupled with excellent service. Our sales team have a wealth of experience gained from working in the motor trade for over 30 years, and will be more than happy to assist you with all your motoring needs. FOR SALE - VAUXHALL CORSA C, CORSA D, ASTRA G, ASTRA H, ZAFIRA B REAR VIEW MIRROR, PART No GM 010456. Part Numbers GM 01 5009 & GM 010456. Fiat Doblo 2009 Onwards. Fiat Ducato, Peugeot Boxer and Citroen Relay 2006-2014. Fiat Ducato Peugeot Boxer Citroen Relay 230 Rear Leaf Springs Q18 1311825080. Fiat Ducato Peugeot Boxer Citroen Relay 250 OE Fuel Filter 2.2 HDI 1368128080. Part Number: (E11) 015478. Ford Fiesta V MK V [2002-2005] Box. Ford Fiesta V MK V [2002-2005] Hatchback. 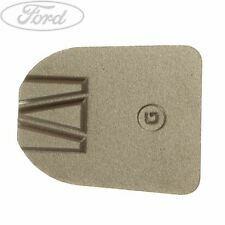 Genuine Ford Rear View Mirror. Colour: Black. Ford Focus DAW, DBW [1998-2005] Hatchback. Ford Focus DAW, DBW [2002-2005] Hatchback. 2015 Peugeot 208 Auto Dim Dimming Interior Rear View Mirror 96864409XT. Condition is Used. Dispatched with Royal Mail 1st Class. Fits Fiat Ducato, Peugeot Boxer And Citroen Relay (2014-Onwards). (Fiat Ducato Citroen Relay Peugeot Boxer Interior Rear View Mirror 2014-Onwards)'s compatibility is a guide only. Fiat Ducato Peugeot Boxer Citroen Relay 250 RHD Wiper Linkage Motor 1343896080. BMW SELF DIP CLOWN NOSE REAR VIEW MIRROR. E39 5 Series. E46 3 Series. ACCESSORIES AUDI BMW 1 SERIES 3 SERIES 5 SERIES 6 SERIES 7 SERIES MINI X SERIES Z SERIES CITROEN FIAT FORD MAZDA MG ROVER NISSAN OTHER MANUFACTURERS PEUGEOT RENAULT SEAT TOYOTA VAUXHALL / OPEL VOLKSWAGEN. This will also fit the latest shape Citroen Relay & Peugeot Boxer. Last picture is from Mini website to give an idea how it looks. Bought it from Mini originally so is a genuine part. Used item in working order grab yourself a bargain!!! § TRANSPORTER. REAR VIEW MIRROR ( MANUAL ) o FRONT WINDSCREEN. § MPN – MANUFACTURE PART NUMBER o 014022 / 021065 OR/AND A046767. Golf Mk5 & Mk6 (2004-2012). Transporter T5 & T5.1/Caravelle (2003-2015). Caddy 2K (2004-2015). Transporter T6 (2015-2019) for vans without auto dimming function . Polo (2009-2016). The mirror simply twists onto the base. Golf Mk4 (1998-2004). Transporter T5 / T5.1 / Caravelle (2003-2015). Transporter T6 (2015-2019) for vans without auto dimming function . Passat B5/B5.5 (1997-2005). The mirror simply twists onto the base. It is for cars with rain sensor. We do have a lot of parts for almost every BMW model. Feel free to ask for any other BMW car parts, we are always happy to help. Genuine used BMW part. Other locations in the UK will be more expensive. 51162148220 MINI Countryman R60 Countryman Cooper N16 (ZB31) 01.09.2008 - 0.030 kg. 51162148220 MINI Countryman R60 Countryman Cooper N16 (ZB32) 01.09.2008 - 0.030 kg. 51162148220 MINI Countryman R60 Countryman Cooper N16 (ZB33) 01.09.2008 - 0.030 kg. Ford Mustang rear view mirror bracket for 1964 1965 and 1966. In used condition. Nissan Primastar (2001-2014). Vauxhall Vivaro (2001-2014). Renault Trafic (2001-2014). There are no major marks or corrosion behind the glass, as commonly appears on these mirrors. It's in very good condition overall with slight age related marking. VOLKSWAGEN POLO. INTERIOR REAR VIEW MIRROR. VW Caddy Rear View Mirror genuine volkswagen. Dispatched with Royal Mail 1st Class. Unused condition. Sold van before fitting. classic vw beetle Rear View Mirror. Condition is Used. Dispatched with Royal Mail 1st Class. Replacement used rear view mirror Bracket on mirror included but not the fixing that remains on the windscreen..
Nissan Primaster Interstar. Vauxhall Vivaro Movano. Renault Trafic Master. New Genuine Interior Rear View Mirror. Mounting Plate Requires Fixing To The inside Of The Windscreen With Glass Bonding Glue. 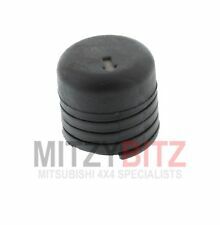 Fits MGB GT 1970 on, left and right drive, UK and overseas models. Used, good condition. 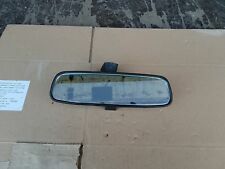 Genuine AUDI A3 8L REAR VIEW MIRROR in used but great cosmetic condition. Very clean and firm movement. Thanks for looking. Genuine Vauxhall Astra H MK5 Auto Dim Rear View Mirror (2005-2009). Nissan Primaster Interstar. Vauxhall Vivaro Movano. Original Renault Trafic Interior Rear View Mirror. Renault Trafic Master. 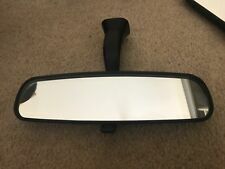 Genuine Ford Fiesta Focus Mondeo Interior Rear View Dipping Mirror 4982463 New! Part number; 4982463. Ford Mondeo (2000-2007). Ford Fiesta MK6 (2001-2008). Ford Focus (1998-2008). Mondeo (2001-2007). Fiesta (2002-2008). This type of mirror is fitted to the later model Fords such as the Focus Mk2. Focus (1998-2005). There are no major marks or corrosion behind the glass, as commonly appears on these mirrors.